There’s something really good about always having people respond positively to you when they see you. I think this must be a huge confidence boost from an early age. If you’re looking for a baby or toddler costume for Halloween (or for no particular reason at all) then here are five of the best. Take a look, you’ll love them. 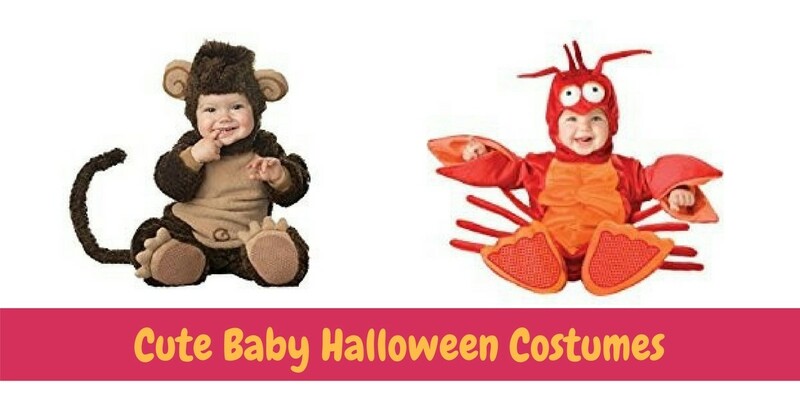 ⇒ Looking for the perfect Halloween costume for your baby? Here are some precious costumes for the smallest one in your family. Click here to take a look. For the price on this adorable lion costume, click the image. So, let’s look as some of the best cute baby Halloween costumes available. These are some of the top-rated costumes on Amazon for the comfort, style, and the fact that kids don’t mind wearing them. They’ll look adorable. You may not be able to stick to only one choice when it comes to cute baby Halloween costumes. These are so precious. If you’re anything like me I always end up buying more than one costume for each of my kids. Even if they don’t wear all of them at Halloween, they still get used at other times of the year. And with babies you don’t even need an excuse, just wear them any time. This is an excellent Halloween costume for your baby or toddler. Teenage Mutant Ninja Turtles are very popular right now, especially in the last few years since the new movies have come out. However, this costume is themed more for the animated series, which your children have probably seen. The Teenage Mutant Ninja Turtles costume is appropriate for babies between newborn and 6 months of age, though there are also larger sizes for toddlers. This costume is 100% synthetic and needs to be hand washed. This is an absolutely adorable costume for your baby. The machine washable Halloween costume is released by InCharacter, a company that makes some of the best costumes for babies and toddlers. The costume is in a red and orange color theme since it looks like a little lobster. It is made from polyester and easy to care for since you can put it in the washing machine. The inside of the jumpsuit costume is lined, while it has a zipper that makes it easy to put on and take off. There is also a hood and booties that come with the lobster costume. If you’re looking for cute baby Halloween costumes then think about dressing your baby to be a little monster. The Pinky Winky costume is perfect. This is a romper costume, so it is comfortable and easy to put on your baby, but won’t get ruined if they are crawling around the floor with it on. It is released by Rubie’s and is made of polyester. You will need to hand wash this costume if you intend to save it and use it next year. The costume is in a pink color and includes the fuzzy romper with footies, bowtie, and horns. There is a size for younger babies and a bigger size for toddlers. Click the image for the price. Another cute Halloween costume that is provided by InCharacter is the lil’ monkey costume. This is easy to care for since you can put it in the washing machine and is also made of polyester. Many Halloween costumes are made of polyester since it is inexpensive and flexible enough for babies and toddlers. With this Halloween costume, your baby will have a little bodysuit that looks like a monkey, as well as leg snaps for diaper changes. It also has a hood with the ears, booties, and a tail. The last baby and toddler Halloween costume on the list is also by InCharacter. This is a little gray shark costume, which is simple enough for babies of any size. It is made from 100% polyester and can be machine washed. This costume is easy to put on with a jumpsuit that also includes leg snaps. There are slip-proof booties, the jumpsuit, and a hood with shark teeth. ⇒ If you’re still looking for the perfect Halloween costume for your baby, take a look at these adorable baby animal costumes. So many cute animals to choose from, click here to see more. ☑ Looking for Smurfs costumes? For more details, click here.